Another Indie Studio has released their game SINNER: Sacrifice for Redemption for the Nintendo Switch. The game is available on most of the current platforms: Steam, Xbox and PS4. On the outside, the game draws many comparisons to games like Dark Souls, with a boss battle only level approach more akin to The Game Bakers “Furi” which was this summer on the Switch. SINNER doesn’t have much of a story and by the end of it all, you won’t really feel very invested in the character you play. The story places you in a post-apocalyptic world where the kingdom around you crumbling in ruin and large creatively designed bosses stand in your way of winning. Each boss room you will enter requires you to sacrifice one of your abilities, adding a puzzle-like element to the game of which boss order is the best in tackling the games 7 deadly sins, before the final conclusion. The order in which you attempt each boss battle gives me major Mega Man vibes in some ways and I liked that aspect of the game. The bosses themselves are the best part of the game and the cornerstone on which your enjoyment or lack of enjoyment in Sinner: Sacrifice for Redemption will surely rest. I, myself, do not enjoy these types of games and really trudged through the first bosses with a lot of frustration. I never got to the point of throwing a controller, but I definitely was mad at some of the cheap kills and losing to a boss when I experienced some frame-rate dips. During each boss battle, you have items and weapons at your disposal that will aid in your survival and getting the upper hand on fights. You have javelins, a shield, health potions and more. You are able to equip a short sword and use your shield to block attacks and item throws from the bosses. Your longsword allows you to take a stronger hit at the boss, but at the sacrifice of a slower attack leaving you open to attacks if you don’t time your swings as best as you can. The boss fights in the game are pattern based and for the most part, you will need to rely on playing through each battle multiple times until you figure out the best way to win. There is a great deal of dodging, blocking, parrying attacks and making timely sword swings that will lead you to victory. But those victories are usually not without dying a lot and replaying bosses over and over again. SINNER: Sacrifice for Redemption contains the typical music found in an action adventure game in a medieval world. The sounds and music match the themes of the various bosses, their locations, and your weapons. Nothing really stood out to me as great but at the same time music was a background element that only ramped up as the fight patterns changed and the battles intensified. SINNER: Sacrifice for Redemption is not without its gameplay issues. When the bosses begin to throw fireballs and axes across the floor you may notice some hitches in the frame rate. These frame rate drops don’t often break the gameplay but they do take you out of the moment and because there is stuttering happening during battling can set you up for failing and dying. If you know what SINNER: Sacrifice for Redemption is and you know you like boss rush style games or the Dark Souls style of games you may feel right at home and enjoy playing through each challenge. 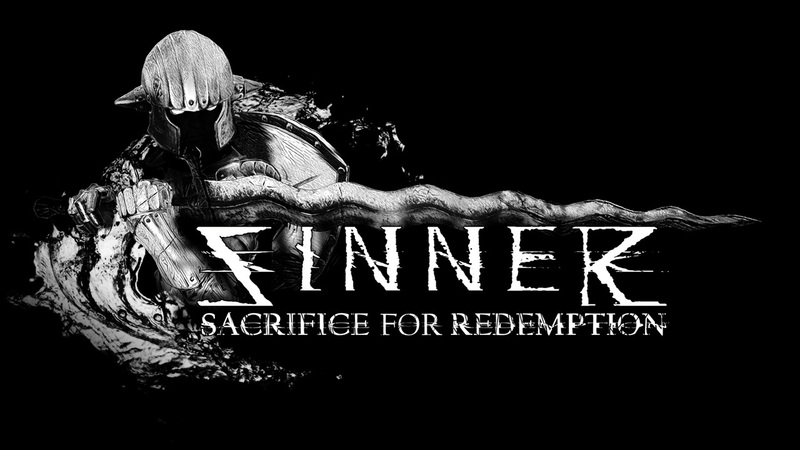 SINNER: Sacrifice for Redemption was not a fun game for me and the frustration of dying in what seemed like a boss cheat would often make me very angry. Once you complete the game there really isn’t a lot of replayability, except maybe challenging yourself in taking on a different order of the bosses which changes the order in which you sacrifice your abilities. The game isn’t expensive, so in some ways that may be enough to entice you in purchasing and playing through. However, I had my fill and have already moved on from my memories of SINNER: Sacrifice for Redemption.